You have spent some of the most beautiful years with your four-legged friend. Since the beginning, he has amused you with his tricks and charmed you with his innocence. With years passing by, you observe that your furry pal is slowing down, being stressed, losing enthusiasm and is reluctant to go outdoors with you. Well, he is growing older and these are not just signs of maturity but hints of his aging process. An aging dog demands as much care as our aging family members. Exactly like their human companions, dogs also face health problems due to age. Now his fur loses its luster, his vision blurs down, his teeth get a pale tint, his joints worn out and he becomes more quieter and relaxed. Some of the common ailments suffered by aging dogs are blindness, dog arthritis, periodontal gum disease etc. These are signs suggesting that your bundle of joy needs more care than ever before. He needs your attention to cope up with the challenges of the natural aging process. Your support will help him age gracefully while still keeping his health intact. Avail veterinarian guidance: Your vet will be able to give you absolute guidance after examining your pet in and out. He will let you know the chances of probable diseases and methods to avoid them. Be it natural remedies, weight control or chemical treatments, a qualified veterinarian gives the finest insight for aging dog care. Regular body check-ups: It is advisable for humans to get a complete body check-up once a year. However, your pet ages at a much faster rate. Therefore, you need to get his body check-up done quite frequently. The vet must examine him on a regular basis to detect any loopholes in his absolute health. The vet is the best person to provide you a complete picture of your pet’s health. Diet quality and control: Remember food matters a lot. The quality of food has a direct impact on your pet’s health. Choose the best food but give it in proper quantity. Too much food may cause weight gain, which is not advisable for older dogs. Ask your vet what and how much food should be given to the pet. Nutritional supplement: Nutrition forms an important part of the pet’s food. Nutritional supplements will help maintain their joints and keep many diseases at bay. Add fatty acids like DHA and EPA in your pet’s diet to keep your pet healthy. Prevention is always better as treatments are far more expensive. For example, it is good to invest in joint supplements than to pay for dog joint treatment. However, it is important to choose the right food under the veterinarian’s guidance as excess or deficit of any vitamin or mineral may cause diseases. Exercise and rejuvenation: Your senior furry pal must exercise regularly to keep his joints moving. Light exercise, swimming, under water treadmill, simple stretching, walking are easy to incorporate in his daily routine. These rejuvenating sessions keep the pet active and prevent many aging diseases like dog arthritis etc. Comfortable beddings and toys: Comfort is the first word to focus on when you deal with older dogs. Soft and warm beddings give the pet absolute rest, which is actually the necessity of older dogs. Heated beds are a fine home remedy for dog arthritis treatment. Also, surround him with toys to keep the pet busy and occupied. A busy mind and relaxed body benefits the aging dogs like anything. 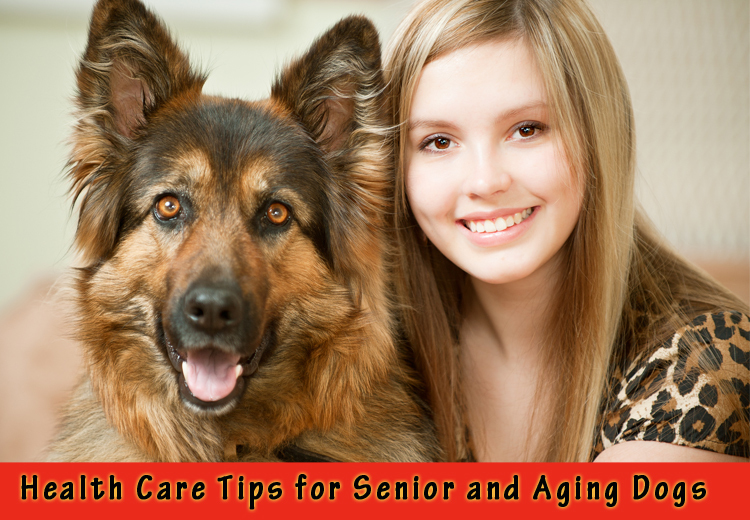 Applying all these tips under a vet’s guidance can do wonders for your pet. Just implement simple life style changes and see the difference in the overall well being of your pet.